My initial response was to laugh at myself, because my list would undoubtedly make me sound like a dusty old pedant. It would include a good number of the “right” or “great” works, but not because I wanted to sound learned, but because they are the ones that have touched me. I can’t help it; given a choice between John Milton and Jonathan Franzen, I will always choose Milton — with no calumny directed at Franzen: It is merely my pleasure. And I mean pleasure. 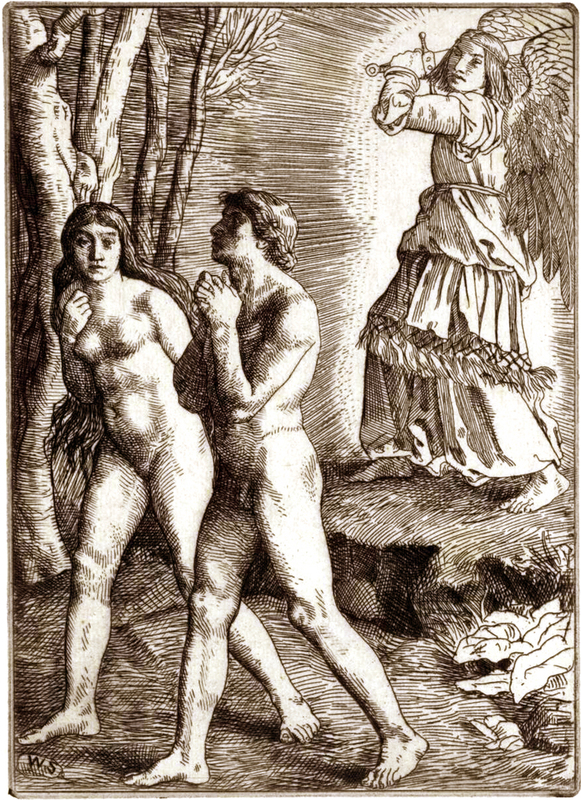 My old newspaper deskmate, Kerry Lengel, who is a very good writer, used to laugh at me because I would wax eloquent about how much I enjoyed reading Paradise Lost. He couldn’t imagine anyone actually enjoying that dense verbiage. But I was genuine about it. Milton gives me tremendous pleasure. I read it not for its theological import, but for its organ-tone language, which I can roll around on my tongue like a good, well-seasoned, well-aged piece of beef. Poetic umami. But the request, sent out on the ether, did make me consider which books have meant the most to me. As we enter an age where printed matter goes the way of papyrus and clay tablets, I wonder at just how decisive have been the books that entered my life. I don’t expect anyone to be absorbed by the fact that this or that book changed my life. My life is fairly banal. I certainly don’t expect anyone to run out and buy these books in hopes they might change their lives. But, I hope it might be interesting enough to see just how an anthill of tiny black marks on a page can affect the growth of a sensibility, and perhaps reading about it might give someone the urge to consider not merely which books most affected them, but how and why. There are books we read with no more lasting effect than a sitcom we watch on TV. They are still worth reading, and they add to our experience of life, but they don’t leave lasting footprints. They make up the bulk of our reading. There are books that we enjoy more than others and that we want to read and reread many times, and when we do, we discover the book itself has grown as we have grown and is completely different from the one we read as a callow youth. Rereading is one of life’s imperatives. 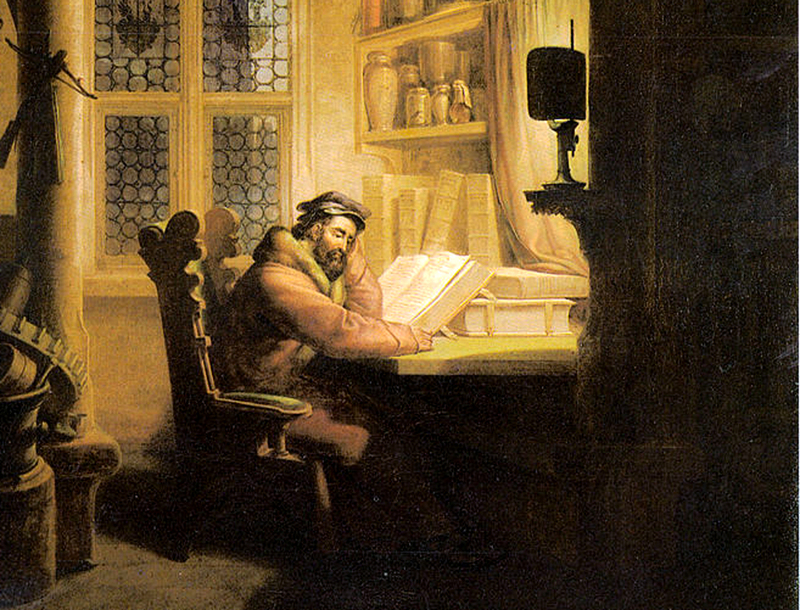 But beyond these, there are the fewer books that completely changed our way of regarding the world, changed our outlook, our philosophy, our very umwelt. They are the life-changing books and they stay under our skin like chiggers for a lifetime. They are not necessarily the best books, but the ones that altered our lives. When we are children, they may very well be otherwise insignificant books that nevertheless opened our hearts and minds to things we knew not of. As young adults, they are the books that removed the scales from our eyes, so that we emerged from our adolescent pupae into the brighter world. As adults, they are the books that re-oriented us and the direction of our lives. And as old age closes over, they are the books that remind us most powerfully of our connection to the eons. I cannot winnow the list down to a mere 10. But I can give you a list divided into the different ages of life and how they helped me navigate into the present. 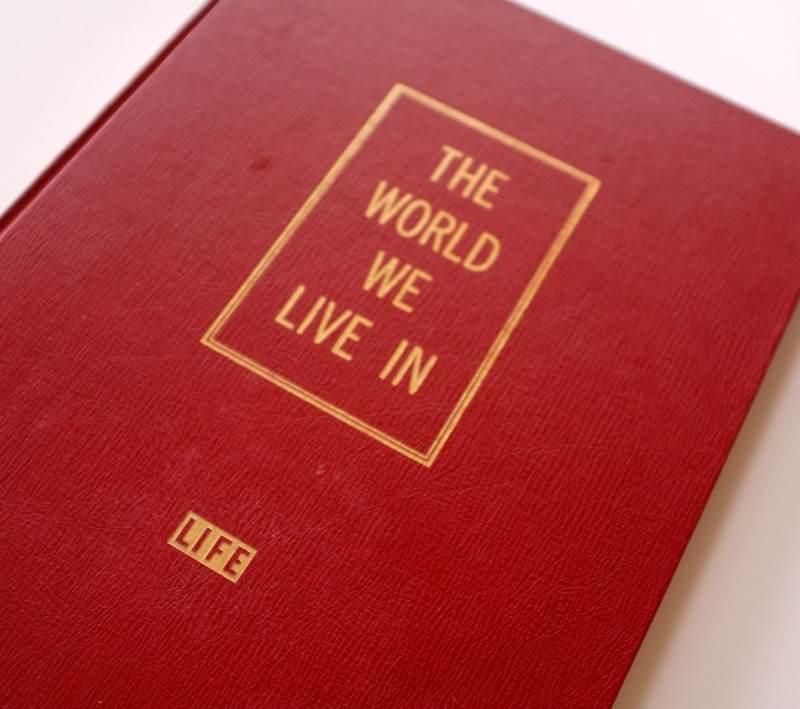 In 1956, on my eighth birthday, my grandmother gave me a copy of Life magazine’s The World We Live In. I still have it, in its red leatherette binding, although with a few nicks in it. There is no book that more completely threads the boy I was with the man I became. The chapters of the book — “The Earth is Born,” “The Miracle of the Sea,” “The Face of the Land,” “The Pageant of Life,” “The Starry Universe” — taught me the great variety of life on the planet, and, more important, the great time frame of the cosmos. It instilled in me — or reinforced what was already an inclination — a love for the things of this earth and conversely, though not actually an argument of the book, a mistrust of things merely “spiritual” or conceptual. 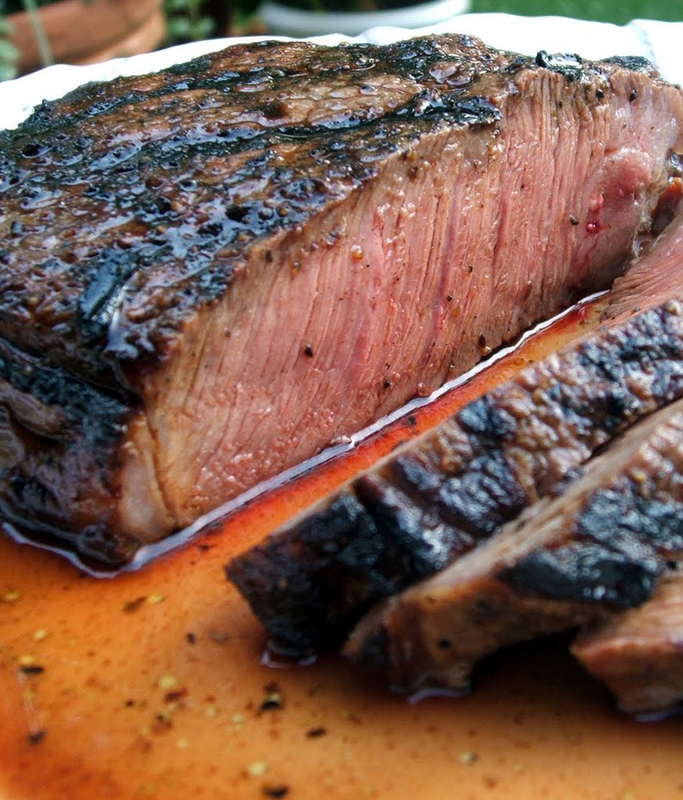 I wanted to rub it between my fingers; to taste and smell it. The photos and illustrations of sea life, dinosaurs, and “The Woods of Home” became a catalog of those things I continue to hold in my cor cordium. There were other books, too. 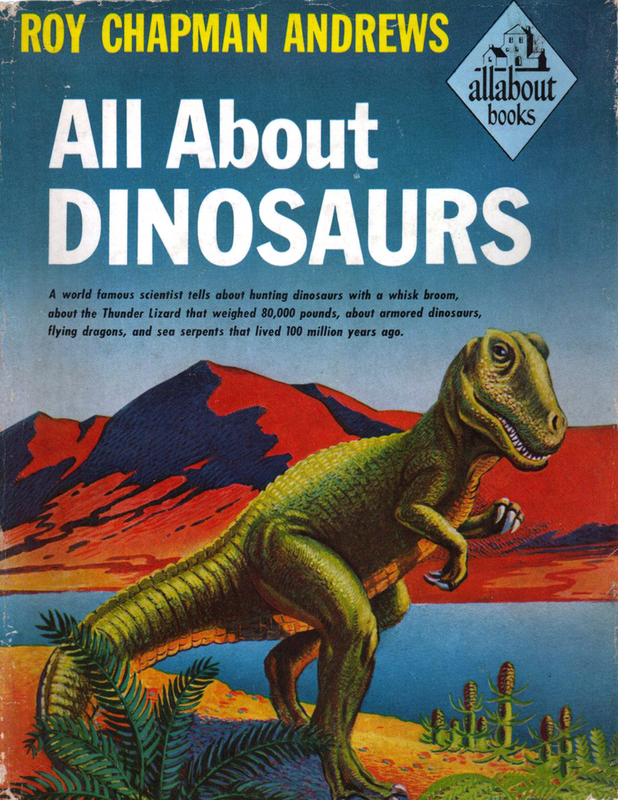 All About Dinosaurs, by Roy Chapman Andrews, which fed my childhood fascination with the Mesozoic, and other in the “All About” series, each taking on some aspect of the natural world. 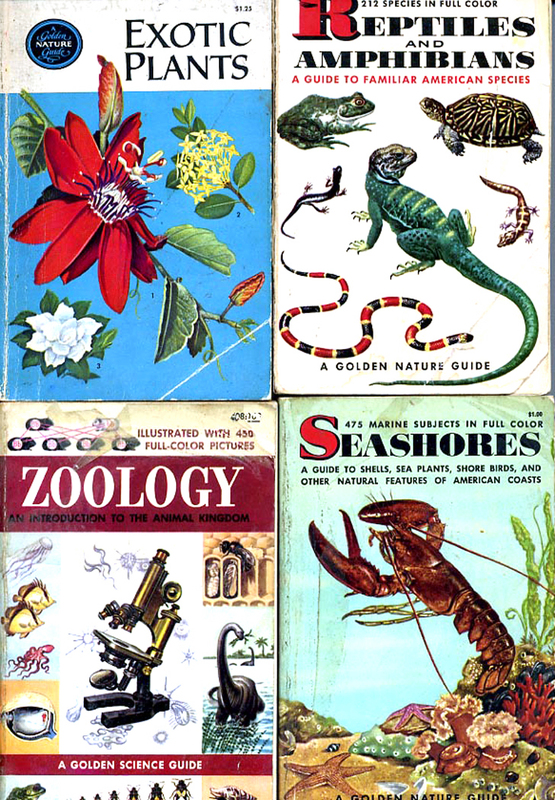 There were the Golden Nature Guides, those tiny books on insects, weather, geology or weeds written or edited by Herbert S. Zim. I have lost and rebought copies of most of them throughout my life. I still have about 25 of them, tucked away on my bookshelves, and I still take them out periodically and leaf through their simple illustrations — pictures that lit up my childhood from within. One can see from the number of hits on Google that Zim bent many twigs for many young readers. 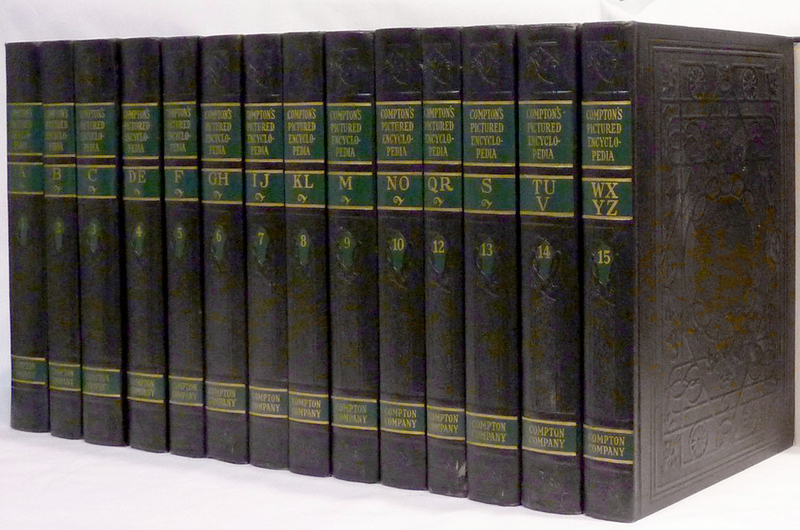 And there was Compton’s Picture Encyclopedia, an edition from the 1930s that our neighbor gave us. 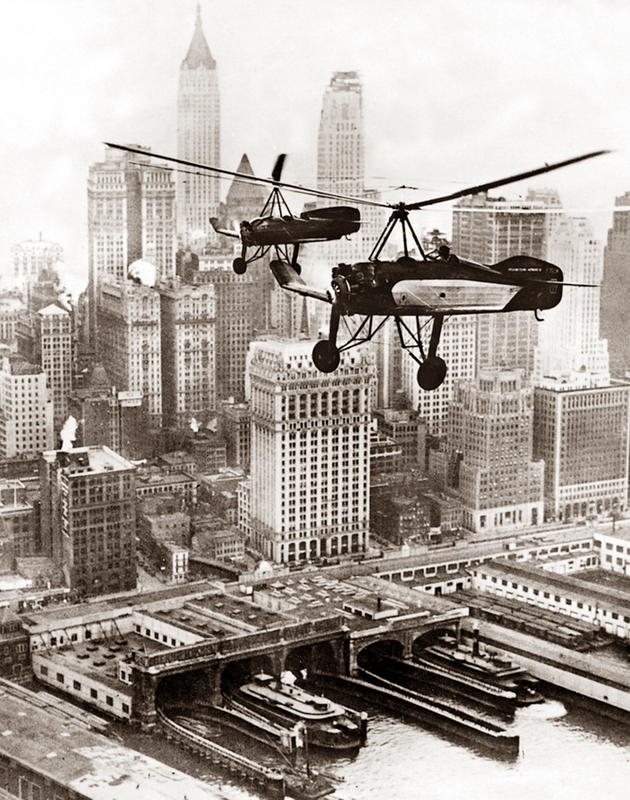 It was filled with pictures of autogyros, streamlined trains and soldiers wearing puttees. It further reinforced a vision of the world that infinitely varied and multifarious. There was more to life, clearly, than the New Jersey suburbia I grew up in. Yes, I was an idiot, but who isn’t at that age. 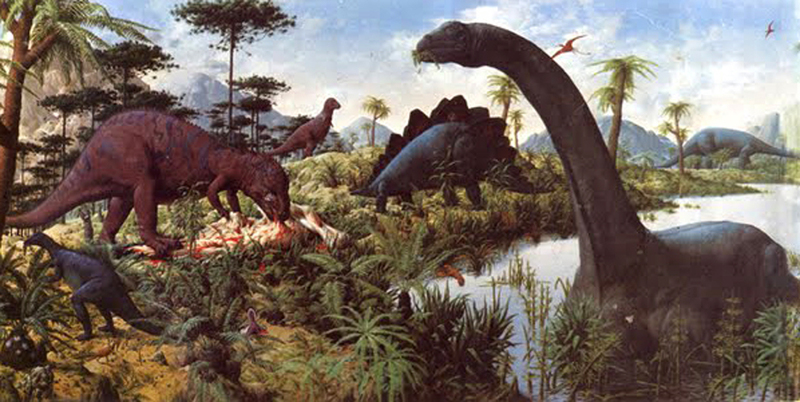 The bottom line was that my childhood reading put me in touch with the physical world and its magnificent diversity. Even as an adult, I inclined (there is that word again) toward the “thingness” of the world, and later in life, that what Kant calls the “noumenon” can best be reached through awareness and connection with the physical presence of the world, rather than through words and mere ideas. In other words, poetry, not philosophy. Yes, as the twig is bent, so the tree inclines. This is great. I really found that a lot of books, some profound, some ridiculous, shaped me as a person. And they continue to shape me! I’ve found my favourite author only recently and she’s modern and quirky but her style is fantastic. I’ve realised a lot, not only from books like Bleak House or Inferno, but A Great Day for Up and Dogger, silly children’s books! This was a phenomenal article, thank you. This brings back memories of my summer of the blue biographies. The grade school library stayed open that summer, and I walked there every day to check out another book in a wonderful biography series, easy to spot on the shelf with their blue cloth hardcovers. Marie Curie’s story was my favorite.